Win two 3 day passes to sold out BottleRock and feel good about your purchase. We are selling only 100 Golden Ticket Raffle tickets for $100 a piece. Buy 1 and you will have 1 in 100 odds or greater of walking away with the passes. 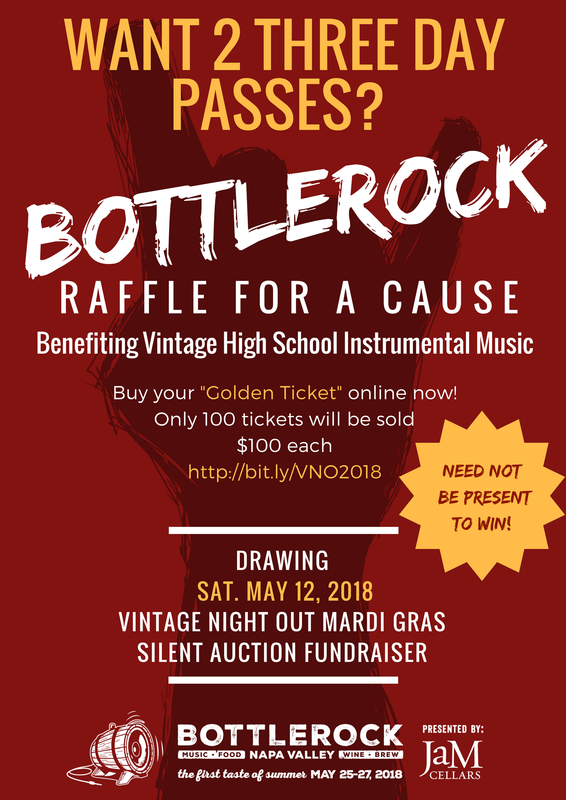 The raffle drawing is set to take place at our annual Vintage Night Out fundraiser on Saturday, May 12....but you don't even need to be present to win! Please share the link to this page with anyone you know who is seeking tickets. Like us on Facebook for daily updates on this raffle and our spring Vintage Night Out Fundraiser.